In partnership with our good friends at the Global Livingston Institute, we had our 2016 #iKnowKati HIV/AIDS awareness music concerts in Lira and Kabale on 10th and 17th September this time, being bigger and better. We brought together thousands of locals in the two rural communities who acquired information on HIV/AIDS through music concerts, mass sensitization drives on HIV prevention, HIV Testing and Counseling, condom distribution and demonstration all the times we camped there. Kicking off with Lira, we camped in the booming northern Uganda town for three days before the concert were conducted, free condom distribution and demonstration, HIV testing and counseling as well as general HIV/AIDS awareness information to the welcoming and hospitable locals of the town. On the concert date, celebrated local artist Coco Finger who hails from Lira, entertained the locals who came to the Mayor’s Gardens to witness the historic HIV/AIDS awareness concert which was happening in the district for the first time. We turned our compass to the South Western Uganda for the 17th September iKnow concert at the Stadium where Navio was the headliner. Before the concert date, we employed the Lira strategy where we carried out free condom distribution and demonstration, HIV testing and counseling not forgetting our different partners who educated the locals with general HIV/AIDS awareness tips. 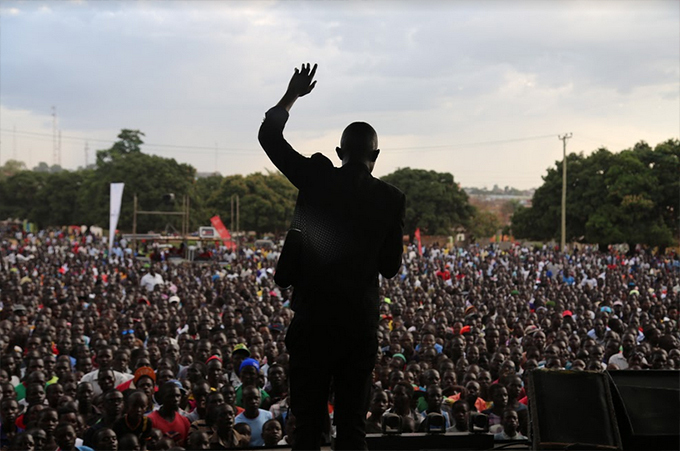 An estimated 26,000 people attended the two music festivals (14,000 in Lira; 12,000 in Kabale). Every single person who attended heard amazing music, and they also heard an HIV awareness message. Most importantly, more than 5,200 people were tested for HIV (2,200 in Lira; 3,000 in Kabale) – many of them for the first time. More than 2,500 were tested for HIV in Kabale in just one day, which we believe to be a Ugandan record for HIV testing in one day! A combined 144,120 condoms were distributed (57,000 in Lira; 87,120 in Kabale). Many community members were also taught how to use condoms. In addition to HIV testing and reproductive health messaging, local health providers in Lira and Kabale came together to offer additional medical services at the festivals. Some of these services included cervical cancer screenings, circumcision referrals, norplant IUDs, and family planning consultations. And in partnership with the Uganda Red Cross Society, 360 units of blood were donated! For Lira, Coco Finger led the line up. For Kabale, the Njogereza king, Navio, didn’t disappoint. But that wasn’t all. Be it Lira or Kabale, Geosteady, Fik Fameika, Ray Signature, Fille, Van Data where there. We also had Andrew Ward, John Mahaffey, Therese Rose and Tom Larson from Denver, Colorado and Nashville (USA). Special thanks go to the Global Livingston Institute, Segal Family Foundation, US Mission in Kampala, AIDS Healthcare Foundation, AIDS Information Center, Reproductive Health Uganda, Marie Stopes Uganda, Odyssey House Louisiana, Metairie Bank, Ultra Mobile, Entusi Resort and Retreat Center, NBS Television and Events Warehouse. You guys are awesome and thank you for making this happen. Stay glued on our online media sites as we will be bringing you updates on our World AIDS Day 2016 commemoration activities in December. You wouldn’t want to miss out on this one. Clue; One week to December.